Today’s conference calls can’t afford to be limited, time-crunched sessions with half a dozen people crowding around the same laptop webcam, struggling to hear what’s going on. 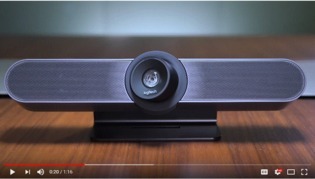 Watch this brief video to learn about Logitech’s MeetUp conference camera. Learn how it’s high definition and flexible field of view helps you make the best of tight meeting spaces and improve your collaborative capabilities.